Μερικές φωτογραφίες από την Ονδούρα και μια σημείωση ενός ανθρώπου που γεννήθηκε εκεί. Δεν πρέπει ποτέ να ξεχνάμε. Ούτε τι έχουμε, ούτε τι δεν έχουν οι άλλοι. 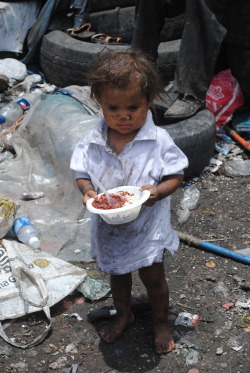 Every day in Honduras children and animals go through the city dump in Tegucigalpa in search for food, clothes, anything they can find that can get them through another day. This is seriously heart breaking. I’m from Honduras I was adopted and have lived in the U.S. most of my life. I can’t begin to express how thankful I am to have what I have today. Somewhere in this world I have 5 siblings who were also adopted out. I’m really glad we all managed to be saved. I dream for the day where I find my biological family including my mother and father. I just would like to know… ya know? Eh, it’s difficult to explain so I’ll just end that part here. 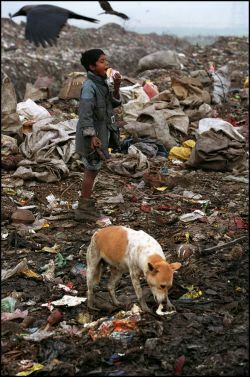 Just wanted you guys to see reality and what goes on in 3rd world countries every second of every day. Children, fathers, mothers and animals die on the streets.. Honduras is the second most dangerous country in the world and it kills me. The rich live above the poor in the mountains. They stay rich and the poor stay poor. It infuriates me to no end honestly. 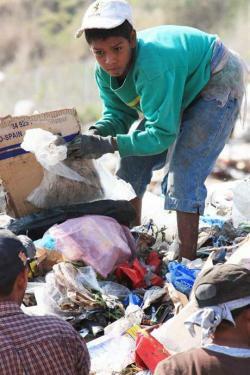 Most of the money if not all money that gets donated to Honduras for the poor goes straight to the rich. It’s a fucked up world indeed. My pediatrician made monthly trips to Honduras to care for all the children for free. I’ve always admired him for that and continue to do so to this day. He’s a wonderful man and amazing doctor. I vowed I’d go back to my country one day and give whatever I can to whoever I can. Money, food, clothes ect. It’s going to happen.. no matter what. I will be one of the few people who help my own people. Η σημείωση είναι του ανθρώπου που έχει αυτή τη σελίδα. Αναρτήθηκε από Kalogria στις 8:18 π.μ.